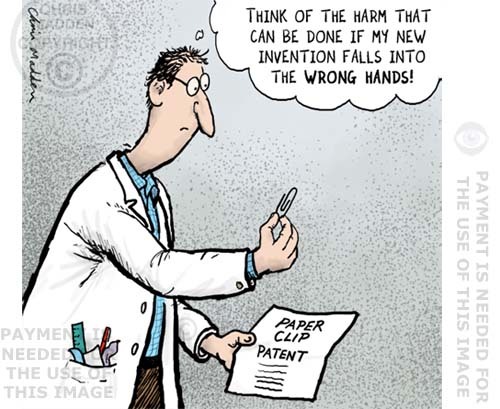 The image shows an inventor worrying about the possible consequences once his invention is unleashed on the world. His invention is the paperclip. An illustration about the dilemma faced by inventors or scientists who are developing new technologies – what use will people put them to?